El Salvador has Mayan Ruins 2 hours away from the airport, San Andres was the most important city in the area between 300ac and 900ac. 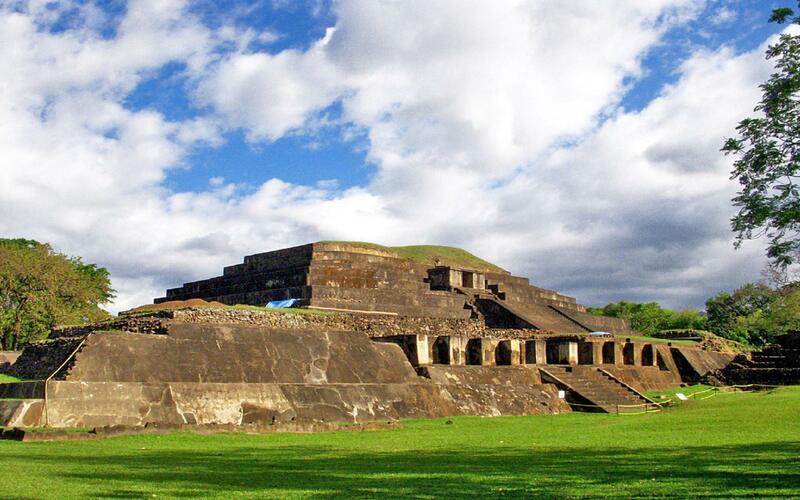 Joya de Ceren is the only UNESCO World Heritage site in El Salvador. Ruta de las Flores, Cerro Verde and Lake Coatepeque are also very popular options for travellers during a long layover. 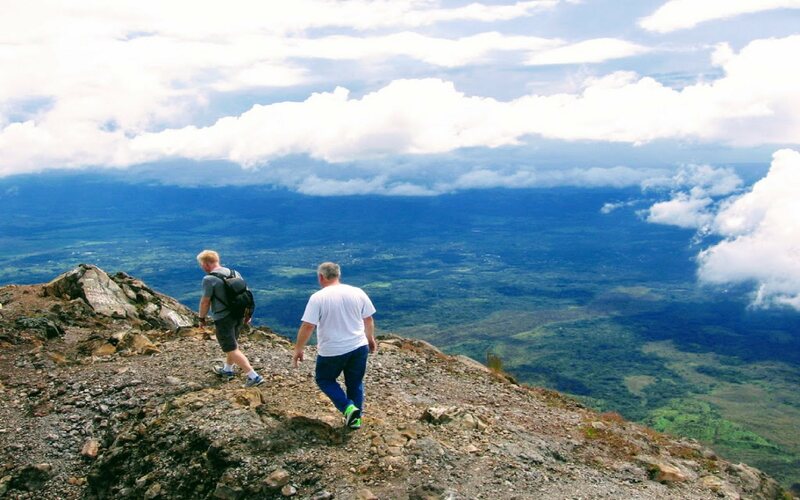 We can coordinate a hike around the Cerro Verde Volcano park and combine it with either the Ruta de las Flores, Lake Coatepeque or an archaeological site. Please contact us with your interests and we can list you some options to choose. What is the procedure to exit the airport? If you are flying with AVIANCA, you need to approach their desk and request a printout of your itinerary and a proof of the AVIANCA TRANSIT TAX, many people have to come back and get this paper so please make sure AVIANCA staff is clear that you need the TRANSIT TAX FOR LEAVING THE AIRPORT, even if its included in the flight fees. The AVIANCA desk is at the end of the terminal, close to Gate 17. Once you have this document, you can come down the stairs and do the immigration procedure where you can get your $10 tourist visa. Its completely normal that Airport Personnel doesnt english so please have a screen shot of your tour details so Immigration Staff can read you are coming back to the airport the same day. Avianca Airlines now uses the San Salvador International Airport as a hub for connecting flights from North America to South America. Layovers can go from 6 - 12 hours. 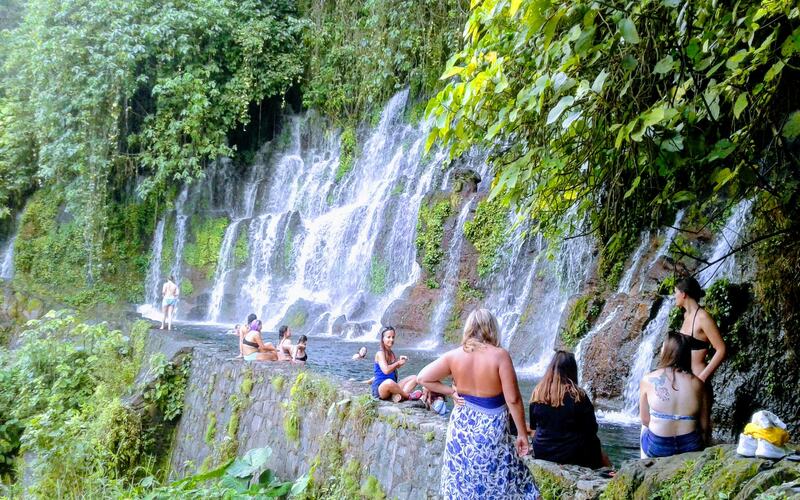 El Salvador is a tiny country, you can do many things during a layover at the airport. The airport is located 45 minutes away from San Salvador, and its also 45 minutes away from the Beaches. There is Mayan Ruins 2 hours away, great coffee in the mountains 3 hours away so the visitor can choose his tour depending on his layover time. 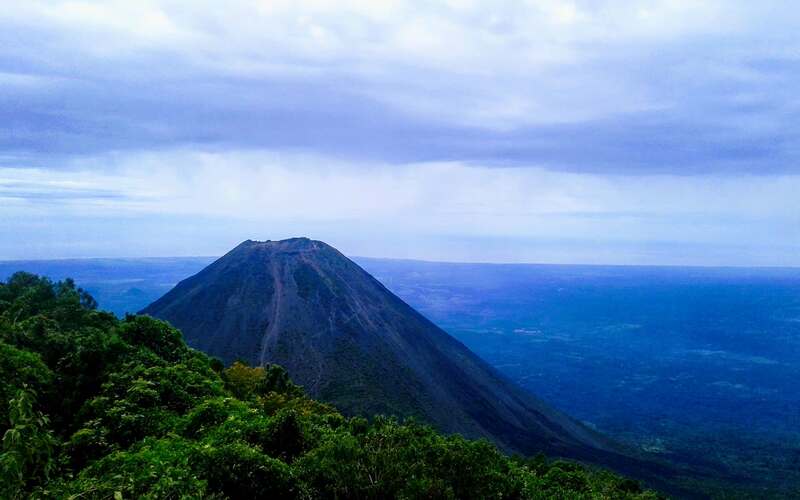 Tours during your layover in the San Salvador Airport have become very popular as its an inexpensive way to visit another country during your layover. You dont need to take your luggage out, you dont need to check-in when you come back to the airport, as you are already checked-in. It takes aproximately 40 minutes to do the procedure through Immigration and Customs, we wait for you outside Customs. Then we follow our planned itinerary and we visit the places we already discussed through email. We wait for you at the exit of customs, holding a sign with your name. Then we walk to our vehicle and start our tour. Popular places are the Fishmarket, El Tunco, City-Tours, The Volcanoes...and more. Another popular destination is the Pupusa tasting, pupusa is the national food of El Salvador and you can try them during your layover. After we finish, we return to the Airport aproximately 2 hours before your next flight. Email us to customize your trip or choose from mour predetermined tours. The Most common flight connections are Bogota - San Salvador - San Francisco, Quito - San Salvador - San Francisco, Lima - San Salvador - San Diego, New York - San Salvador - Belize, Panama - San Salvador - San Francisco. All these are operated by AVIANCA Airlines. Its very common to have the people doing the Inca Trail in Peru or visiting Ecuador and Colombia and then visiting El Salvador on their way back home to Los Angeles, San Diego, San Francisco or New York. There could be an AVIANCA fee for leaving the airport, please make sure you get your voucher at their counter. Ask the AVIANCA personnel please. There is a $10 visa fee for US, Canada and Australian Citizens. Europeans do not pay this $10. You dont need to worry about your bags, they are changed from airplanes by AVIANCA. Price: $125 1 person. $20 per extra person. Includes National Park Fees, bilingual guide and transportation.